Accommodation At Hunters Quay is Now SOLD OUT!! For alternatives the Visit Scotland Webiste has a good search function. Rally Pack ticket sales end at the end of March. This will be a special Year for Clyde Valley as the Chapter will be 20 years old, so we are looking at making it a little more special. 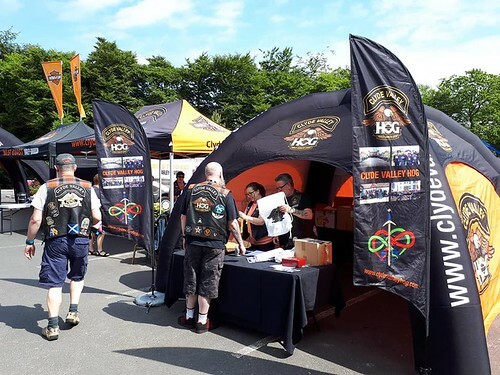 CVH 1999-2019 Twenty Years on the Road. Once again we will be back at Hunters Quay, to make full use of their excellent facilities. Some of your favourite bands will be back and have already been reserved. 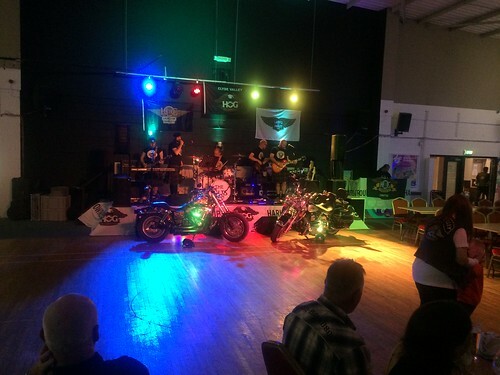 More from our Ladies of Harley and their Charity fundraising efforts. And the road crew are looking at some additional ride outs in the stunning scenery surrounding the rally site. 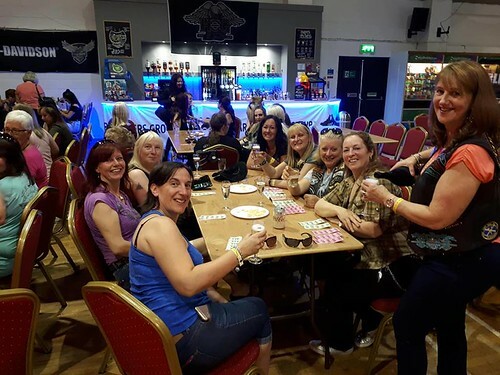 The Gathering 2019 has been confirmed at Hunters Quay Dunoon PA23 8HP. Once the early bird ticket period is complete Standard Rally pack Tickets will be available for General sale. Rally pack Tickets are only available up until Midnight on the 31st of March 2019. Remember to allow 24 hours after you buy your ticket before you book your accommodation to allow the admin to get the order details to Argyll Holidays. From the 1st of April Tickets will still be available at £TBC but without Rally pack. As normal to secure your accommodation, first book your Rally tickets via Eventbrite, wait 24 hours to allow the sales data base to update and then call the Argyll Holidays booking number 0845 459 9772. You will need your booking number on your ticket to secure your accommodation. Hunter Quay Holiday Village, Dunoon, Argyll PA23 8HP. 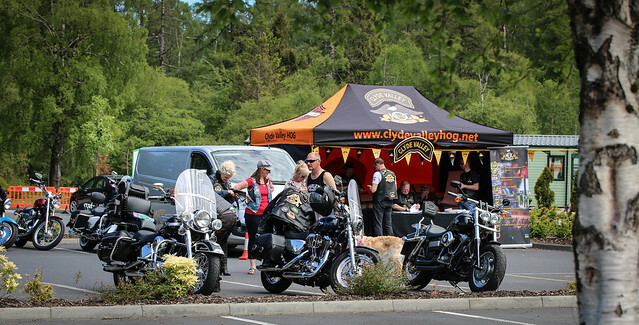 Clyde Valley HOG is proud to host the 16th Annual Gathering and celebrate 20 Years of Clyde Valley HOG. 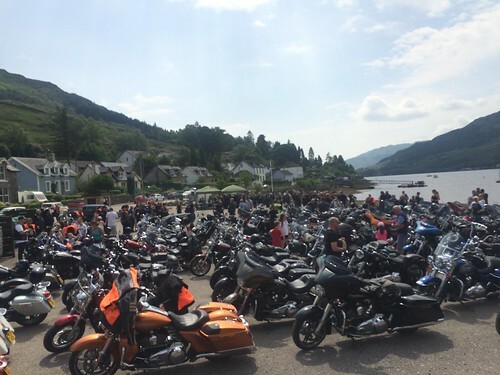 - Our flag ship 'SEVEN LOCHS' rideout in the Highlands of Scotland covering the most spectacular routes.... anywhere! Additional nights available as indicated above. * Please Note, this is a residential event only, no camping or touring caravans are permitted. A limited number of pitches are available for motorhomes. Accommodation is solely provided by Argyll Holidays at their Hunters Quay Holiday Village. Lodges and Residential Caravans can only be booked once a Rally Ticket has been purchased via this site. A ticket will be available to print at the end of the process. (Visit Argyll Holidays website at www.argyllholidays.com to view facilities and accommodation types). Please allow 24hrs before booking accommodation. Specially discounted rates have been negotiated and are available ONLY on this telephone number. Caravans start at £260 and Lodges from £270 (£15 fuel charge extra) A £50 deposit is required at the time of booking your accommodation with the balance due by 27th April 2018. (6 weeks prior to the Event) . 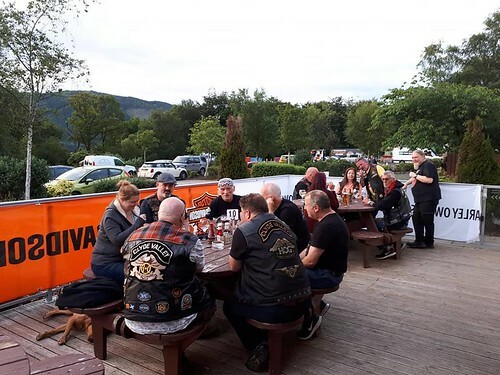 All accommodation transactions are between the individual and Argyll Holidays Ltd and Clyde Valley HOG cannot accept any responsibility in these transactions. All Rally ticket sales are 'final' and costs and fees cannot be refund.